17.5: extremely faint, small, round, 1' diameter. Appears as a very low surface brightness spot. A double star mag 13/14.5 located 2.3' NE helps to pinpoint the position. Could hold steadily (barely) with averted vision and concentration once identified. A mag 5.6 star lies 40' E.
17.5: at 220x, obvious irregular glow of ~3' diameter just following a mag 13 star at the W edge. 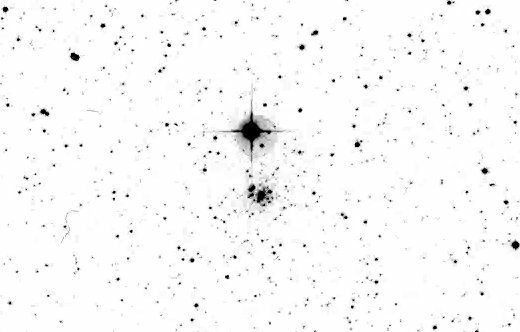 A mag 14 star follows and a third star is at the NE end (possibly an extremely faint 4th star is also along this string). Appears elongated E-W and the irregular outline increases in size with averted vision to 4.0'x2.5'. 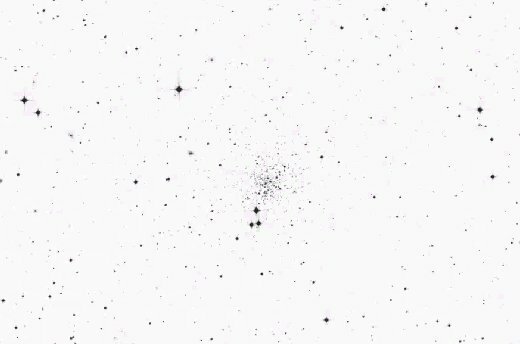 Has an unusual mottled patchy appearance although the observed stars may be field stars. 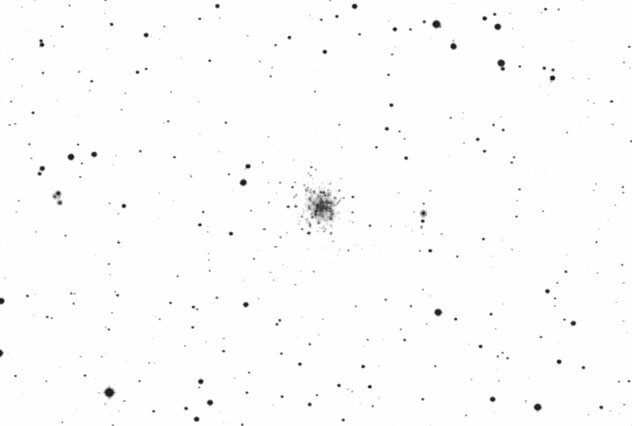 17.5: very unusual small, faint glow located 2' S of mag 5 Nu 2 Sagitarii! 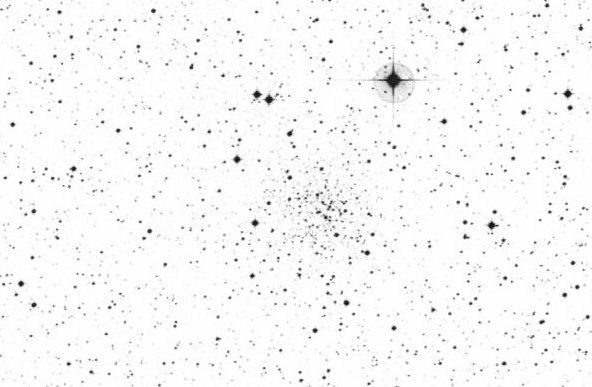 The very faint background glow is ~1' diameter but more notable are several superimposed stars. A close pair of mag 13.5 stars is at the NE edge 25" from center and a similar star is at the WNW edge 20" from center. There is a very small bright core which on closer inspection appears to be a close pair of mag 12.5 stars or possibly a bright stellar core and nearby star (=IC 4802). Other than the central "knot", the unconcentrated 1' background patch has a low surface brightness and is much smaller than the listed diameter of 4'. 13: fairly faint, very small. 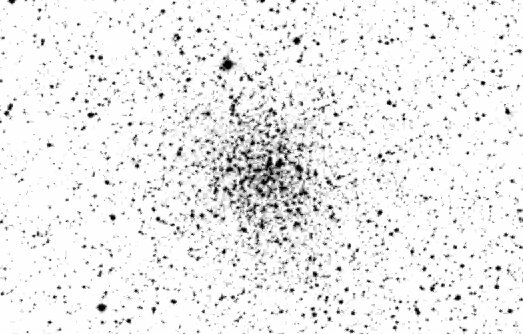 This globular appears as a hazy patch easily visible just 1.8' S of Nu 2 = 35 Sagitarii (V = 5.0)! About half a dozen stars are either superimposed or resolved including two close pairs. 17.5: very diffuse hazy region just NW of a pretty wide triple star, appears elongated. Two faint stars are superimposed. Sighting not 100% but confirmed on the POSS.